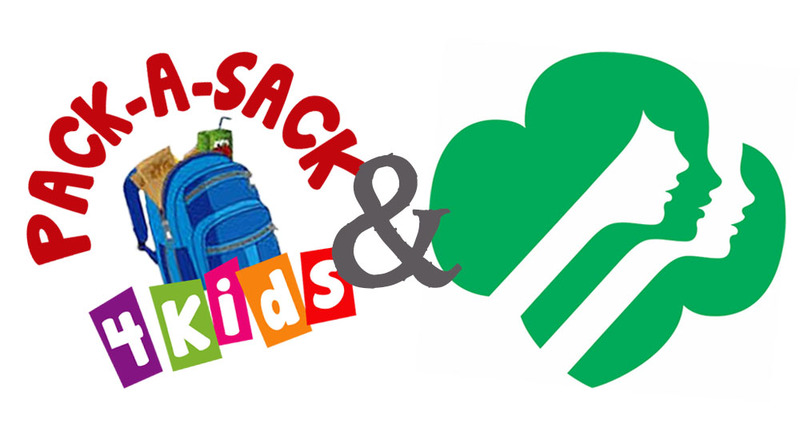 We are so excited to share that 2 local Girl Scout troops have picked Pack a Sack as their Hometown Hero . That means PAS will receive a portion of their sales as a donation at the end of the selling season. The Good news is you can directly help the Girl Scouts and PAS simply by ordering a box of cookies. Your purchase goes towards the total proceeds, but the best part is that the box of cookies you order will actually be included in the PAS weekly bags. We would love to have 99 boxes ordered so all the PAS children would receive a box. To order online, simply click the link below. To ensure that the cookies go to Pack-A-Sack, add the word “Wesley” to your last name. If you are unable to order online, you may contact the cookie Mom, Kerrie @ kerrielovesjewelry@gmail.com or 813/393-6563 and let her know you are ordering Cookies for Pack a Sack (and/or yourself). Community Montessori School continues to collect PAS food items from their school families and to date, we have received food 4 times. They are committed to helping for the rest of the school year and hope to help pack soon. We are grateful for their commitment! Tampa Day School has once again chosen Pack a Sack as their chosen Charity for their annual Hawk Walk. A HUGE thank you to Jack and Susan Lamont for their help. Most of you might remember, we were their chosen charity last year. It was a lot of fun to participate in the event and see the kids so involved in raising money for their school and a local charity. Thanks Jack and Susan!